A growth strategy isn’t just a set of functions you plug in to your business to boost grow your product, it’s also the way you organize and rally as a team. If growth is “more of a mindset than a toolkit,” as Ryan Holiday said, then it’s a collective mindset. Successful growth strategies are the product of engineering, marketing, leadership, design, and product management. Whether your team consists of two co-founders or a skyscraper full of employees, your growth hacking strategies will only be effective if you’re able to affix them to your organization, apply a workflow, and use the results of experiments to make intelligent decisions. In short, there's no plug-in for growth. To increase your product's user base and activation rate, your company will need to be methodical and tailor the strategies you read about to your unique product, problem, and target audience. In order to look at growth in these companies, we need a proper growth strategy definition. A growth strategy is a plan of action that allows you to achieve a higher level of market share than you currently have. That simple. But the caveat is that it's not necessarily focused on short-term earnings—let's keep that in mind with the following examples. Product development strategy: You can grow your market share by developing new products to serve that market. These new products should either solve for a new problem or add to the existing problem you product solves. Market development strategy: You can grow your market share by developing new segments of the market, expanding your user base, or expanding your current users' usage of your product. Market penetration strategy: This one is often confused with market development strategy, but actually it focuses more on strategies like bundling products, lowering prices, and even advertising. This of this one as everything you can do in marketing after your product is created. Diversification strategy: You can grow your market share by entering entirely new markets. Here, we explore 21 growth strategy examples from 21 teams that have achieved massive growth in their companies. Every strategy is tied to the company's context—some follow one of the four classic growth strategies, but others are outside of the box. We often think of these as "growth hacking strategies". In of these examples, there's something we can learn and apply to our own audiences. Clearbit's APIs allow you to do amazing stuff, like enrich trial sign-ups on your homepage, but to use them, you need a developer's touch. Clearbit needed to get developers to try the tool in order to grow. Their strategy was to dedicate their own developer time to creating free tools, APIs and browser extensions, that would give other developers a chance to play. They experimented with creating free APIs for very specific purposes. One of the most successful was their free Logo API. It allowed companies to quickly imprint their brand stamp onto pages of their website. Clearbit launched the API on ProductHunt and spread the word to their developer communities and email list—within a week, the Logo API had received 60,000 views and word-of-mouth traction had grown rapidly. Clearbit dedicated its developer team to making a bite-sized version of their overall product. The Logo API represents Clearbit at large—it's a flexible, easy-to-implement way for companies to integrate data into their workflows. Companies can try it out almost instantly and see how the logo improves their pages. Using your team's talent to create pieces of value for free creates an incredible first impression of your brand. It validates that what you're making works and drives testers to commit to your main product. As a customer analytics tool, Segment practices what it preaches when it comes to acquisition. The Segment team has developed a data-driven, experimental approach to identify its most successful acquisition channels and double down on those strategies. In an AMA, Diana Smith, head of marketing at Segment, told the audience that they'd recently done a lot of experimenting with what paid channels worked for them. “In a nutshell, we’ve learned that retargeting definitely works and search does not,” Smith explained. Segment learned that they were more effective when they reached out to users who'd viewed their site than when they relied on users finding them through search. Once they knew this, they set out to refine their retargeting strategy. They started customizing ads to visitors who'd viewed particular pages—to visitors who'd viewed their docs, they sent API-related messages, to visitors who'd looked at pricing, they sent free trial messages. They spread these ads across Facebook and Twitter. By narrowing your acquisition strategy to what works, you can increase ROI on paid acquisition. Increase conversions by reaching your best users in context, while minimizing CAC. Tinder has made an addictive product by gamifying dating. But to get its growth started, Tinder needed to activate their two-sided product. They needed a strategy that would allow potential users to play the game and find a willing dating pool on the other side of the app. In order to validate their product, potential sign-ups needed to see it working. Tinder's strategy was high touch. They sent a team to visit potential users and directly demonstrate the product's value. They invested in a tour of sororities and fraternities at colleges to manually recruit sign-ups from their target audience, millennials. It was a move that increased their user base from less than 5,000 users to over 15,000. First they helped groups of young women install the app. By actually installing the app while in a room with these women, they got past initial install friction. Then they did the same pitch to a group of boys at a fraternity. Crucially, the app was now filled with women who all had something in common with the boys—they went to the same school. To find the right growth strategy for your product, you have to understand what it will take for users to see it working. Tinder's in-person tandem pitches were a massive success because users could see the app showed them new romantic connections as soon as they signed up. Zapier is all about integrations—it brings together tools across a user's stack, allowing events in one tool to trigger events in another, from Asana to HubSpot to Buffer. The beauty of Zapier is that it sort of disappears behind these other tools. But how do you market an invisible tool? Zapier's strategy is to actually leverage its many-sided product personality through content marketing. The team takes every new integration on Zapier as a new opportunity to build authority on search and to appeal to a new audience. Zapier's blog reads like a collective guide to hundreds of tools, with specific titles like “How to Quickly Append Text to a Note in Evernote or OneNote from Your Browser” and “How to Automatically Generate Charts and Reports in Google Sheets and Docs.” By appearing in search for these specific topics, Zapier sneakily makes itself a content destination for the audiences of all these different tools. If you have a product with multiple use cases and integrations, try reaching each specific audience with your content marketing rather than a catch-all approach. Andy Johns arrived as Product Manager at Twitter in 2010, when it already had over 30 million active users, but according to Johns, growth was slowing. For the Twitter “user growth team,” every day held a new growth experiment—the team would pick an area in which to engage more users, create an experiment, and nudge the needle up by as much as 60,000 users in a day. One crucial user growth strategy that worked for Twitter was to coax users into following more during the onboarding phase of the product. They tried out a “ten people to follow” feature. This prompt quickly ramped up users from onboarding to using the site as it was designed. 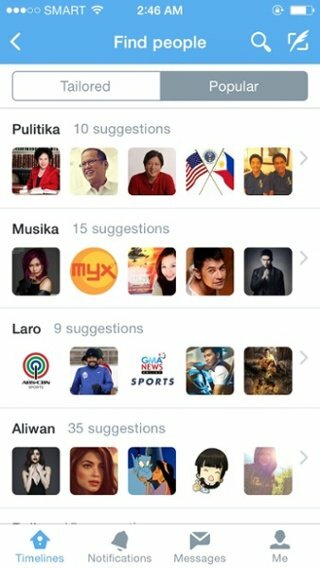 Users never had to encounter an empty Twitter feed, they began interacting with people faster, and these interactions then gave them further reasons to stay. Provide new users a secure footing in your product by using onboarding to give them their first Aha! moments, whether that's connecting with friends, sending messages, or sharing files. Nudge your network effect into action one user at a time. The LinkedIn platform was designed to connect users, from recommendations to new job leads, introductions to collaborations. But left to their own devices, users tended not to use the service in the way it was designed. They realized that most users still only had 1 connection in their profiles and needed help making more. Based on this information, they then displayed a list of LinkedIn users from this former workplace. This gave users a memory jog and motivation to take the step of reconnecting with old colleagues. Once they had made this step, they were more likely to make further connections on their own. After initiating this new question at sign up, LinkedIn's pageviews increased 41%, searches increased 33%, and users' profiles became richer with 38% more work positions listed. If you notice your users aren't making the most of your product on their own, help them out while you have their attention. Use your onboarding momentum to help your users get engaged. Facebook's active user base surpassed 1 billion in 2012. It's easy to look at the massive growth of Facebook and see it as a sort of big bang effect—a natural event difficult to pick apart for its separate catalysts. But Facebook's growth can be pinned down to several key strategies. Again and again, Facebook has carved out growth by maintaining a steely focus on user behavior data. They've identified markers of user success and used those markers as North Star metrics, guiding their decisions. One such North Star metric was “getting to 7 friends in ten days.” Facebook used analytics to compare cohorts of users—those who were still engaged in the site and those who'd left shortly after signing up. They found that the clearest indicator of users sticking around was getting to 7 friends in ten days. Once Facebook found this Aha! moment that correlated with increased retention, they crafted the onboarding experience to nudge users up to this number. By focusing on a metric that correlates with stickiness, your team can take a scientific focus on growing engagement and retention, and measure its progress. Slack has grown by watching how teams interact with their product. Their own team was the first test case and from then on, they refined their product by engaging companies of testers. Even now they're dealing with 4 million active users, the people at Slack are on the look out for really successful Slack users, and holding their behavior up as a design template. To understand their pattern of retention and churn, Slack peered into their user data. They found that teams who'd sent 2,000 messages almost never dropped out of the product. That's a lot of messages—you only get to that number by really playing around with the product and finding a routine that works. Slack knew they had to give new users as many chances as possible to send messages. They started plotting interactions with users in a way that encouraged multiple message sending. For example, Slack's onboarding experience simulates how a seasoned Slack user behaves. 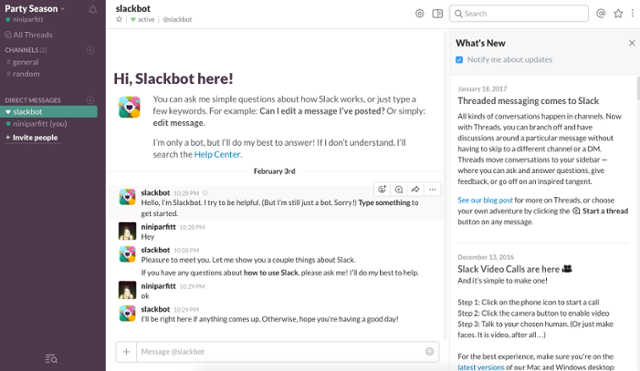 Right away, a message from the Slackbot opens up the Direct Messages channel, showing users what private communication is like, while at the side, a “Threaded message” example demonstrates Slack's multi-tasking capabilities. Find what success means for your product by watching loyal users closely. Mirror that behavior for new users, and encourage them to get into a pattern that will lead to retention. At the dawn of 2013, self-employed e-book writer Nathan Barry publicly set himself an unusual resolution. He announced the “Web App Challenge”—he wanted to build an app from scratch and get to $5000+ in monthly recurring revenue within six months. Though he didn't quite make it to that $5000 mark, he did build a product with validated demand that went on to reach $125,000 in MRR per month. Barry tried out many growth strategies over the first three years of his email marketing tool for bloggers, ConvertKit, but the strategy he kept turning back to was direct communication with potential customers. Through personalized emails, Barry found tons of people who loved the idea of ConvertKit, but it was too much trouble for them to think about switching tools—all their contacts and drafts were set up in their existing tools. So Barry developed a “concierge migration service.” ConvertKit would literally go into Word Press and Mailchimp, wherever the blogger was working, scrape everything out and settle the new customer into ConvertKit. 15 months after initiating this strategy, ConvertKit was making $125,000 in MRR. Barry may have started ConvertKit as a dare to himself, but he could only grow it by talking to others. By actively reaching out and listening to target users, you can see the precise barriers that are blocking them from signing up. It could be something tiny, like having to move from an existing tool, and you'll probably be able to help them with it. When Yahoo doubled their mobile revenue between 2012 and 2013, it wasn't just the product that evolved. Yahoo had hired a new leader for its Mobile and Emerging Products, Adam Cahan. As soon as Cahan arrived, he got busy making organizational changes that allowed Yahoo's mobile division to get experimental, iterate and develop new products quickly. Firstly, he turned the division into more of a tech startup environment. He brought together talented individuals from different disciplines—design, product management, engineering — and encouraged them to work almost as a founding team, to focus solely on developing mobile products that would grow. He maintained that collaborative environment even as the division grew to 50 members. By making every member of the team focused on user experience before all else, he removed some of the bottlenecks and divisions that often build up in a large tech company. He put all the team members on a plane—their aim was to discover how to make Yahoo better for customers, even if that meant dismantling the status quo or even software that had been built previously. In two years, Cahan grew Yahoo's mobile division from 150 million mobile users to 550 million, showing that by focusing on hiring the right people and enabling them to focus on solving problems for users, he had opened the doors for organic growth. Code would only get Stripe so far. In order to drive adoption, they focused on creating clear, comprehensive documentation so that developers could pick up Stripe products and run with them. 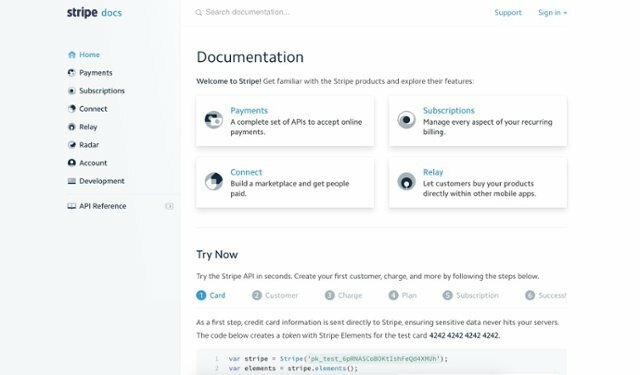 Stripe created a library of docs that lead the user through each product. There's more plain English in these docs than code, bridging the gap for new users. There's a “Try Now” section where users can see what it takes to tokenize a credit card with Stripe. Providing an API explorer like this gives developers the chance to learn and test the API for their particular use case without committing. By focusing on the use case or audience that's most directly affected by your problem, you can build up word-of-mouth from your best and most impressed users. Merchants started clamoring for Stripe because their developers were raving about it. Groove used KISSmetrics to examine customer data. They identified who was leaving and who was staying in the app. They compared the user behavior of both cohorts and found that staying in the app was strongly correlated with performing certain key actions, like being able to create a support widget in 2 to 3 minutes. Users who churned were taking far longer, meaning that for some reason they weren't able to get to grips with the tool. Groove was then able to send highly targeted emails to these people, before they forgot about the app entirely, bringing them back in and helping them learn Groove's value. By using data analytics, you can identify behaviors that drive engagement vs. churn, then proactively reach out to customers when you spot these behaviors. By getting ahead of individual cases of churn, you can drive engagement up. Paypal was growth hacking with referral before it was cool. As a new kind of payment method, Paypal needed to build trust and authority with an initial user base before it could impress new users. Paypal's radical first iteration of their referral program allowed them to grow to 5 million daily users in only a few months. Paypal paid its first users to sign up. They literally gave them free money. These bonuses began at $20 for signing up. As users became accustomed to using Paypal and started loving it, bonuses were decreased to $10, then $5, then were phased out, but the more organic growth from referral had been initiated within this user base, which began to multiply. Incentivize your users in a way that makes sense for your business. The initial cost of setting up a referral program will pay you back when your users are creating a self-perpetuating viral loop for you. Postmates, the on-demand delivery service, reached 1 million monthly deliveries last year. They also launched a subscription service, called Postmates Plus Unlimited. With growing demand, Postmates has focused on developing products that are highly accessible and easy to use. At the same time, they've gathered funding. In October 2016, they gained another $140 million investment taking their post-money valuation to $600 million. But to cope with this growth in valuation and to keep powering its product to scale, Postmates also needed to scale their growth team. According to Siqi Chen, VP of Growth at Postmates, the company had “an incredibly scrappy, hard working team who did the best they could with the tools given, but it's very hard to make growth work at Postmates scale without dedicated engineering and product support.”So the team shifted to include engineering and product at every level. Now Postmates' Growth Team has three arms of its own, “Growth Product,” “Growth Marketing,” and “User Acquisition.” Each one has its own engineering support. By giving the Growth Team room to grow, and connecting them directly to the technical decision makers, they've created a team that scales with the company. 15. How BuzzFeed grew to 200 million daily visitors with "Golden Rules of Share-ability"
BuzzFeed is a constantly churning content machine, publishing hundreds of pieces a day, and getting over 200 million unique daily visitors. BuzzFeed's key growth strategy has been to define virality, and pursue it in everything they do. Jonah Peretti, BuzzFeed's CEO, shut off the noise and started listening to readers. He found that readers were more concerned about their communities than about the content—they were disappointed when they didn't find something to share with their friends. The most important metrics the Buzzfeed team could judge themselves by were social shares and traffic from social sites. BuzzFeed's office created the Golden Rules of Shareability to further refine their judging criteria. They used all their viral hits to boil down what makes something inherently shareable. This is important, because it makes it possible for Team BuzzFeed to take leaps into new topics and areas. BuzzFeed's focus has followed its social crowd and has been able to adapt to changing reading patterns and platforms. Now over 60% of Buzzfeed's traffic comes from mobile, because people are consuming Buzzfeed on-the-go. The company has also upped its political arm, and has made big investments in branded video. The lesson? If you want to go viral, follow where your customers are going. As Peretti says: “People are what spreads the media, and that's a stronger and better signal than a media company could [build alone]." Airbnb's origin story is one of the infamous growth hacking tales. Founders Brian Chesky and Joe Gebbia knew their potential audience was already using Craigslist, so they engineered their own integration, allowing sign-ups to double post their ads to Airbnb and Craigslist at the same time. But it's their review strategy that has enabled Airbnb to keep growing, once this short term tactic wore off. Reviews enrich the Airbnb platform. For 50% of trips, guests visit a host profile at least once before booking a visit. And hosts with more than ten reviews are ten times more likely to receive bookings. They made the review process double-blind, so feedback isn't visible until both traveler and host have filled out the form. This allows for more honesty. They also enabled private feedback and reduced the timeline for leaving a review to 14 days, making reviewing more spontaneous and authentic. By making reviews easier and more honest, Airbnb grew the number of reviews on the site, which in turn grew its authority. You can growth hack your shareability by figuring out what it takes for users to trust you, then just focus on making that thing super easy. 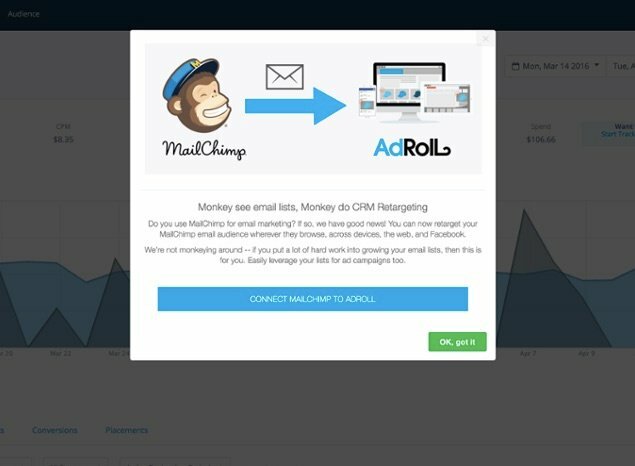 Adroll has this great MailChimp integration—it allows users to retarget ads to their email subscribers in MailChimp. But they found that very few users were actually making use of this great feature. Peter Clark, head of Growth at AdRoll, wanted to experiment with in-app messaging to better target the integration to the right Adroll users at the right time, but growth experiments like this require rapid iteration. His engineers were better suited to longer development cycles, and he didn't want to disrupt the flow of his organization. The team first used a tool called Datanyze to isolate users who used both Adroll and MailChimp. They pasted this list into Appcues, and created this modal window, programming it to appear only to users with both tools who could take immediate advantage of the integration. They programmed the window to appear when users arrived at their dashboards. This is the core area of the Adroll tool, where users are poised to take action on their ad campaigns. This single experiment yielded thousands of conversions and ended up increasing adoption rate of the integration to 60%. The experiment is so easy to replicate that Clark and the team now use modal windows for all kinds of experiments. GitHub's tagline “How people build software” is no accident. GitHub began as a software development tool, called Git. It was designed to solve a problem its coder founders were having by enabling multiple developers to work together on a single project. But it was the discussion around Git, what the founders nicknamed “the Github” that became the tool's actual value. Github's founders realized that the problem of collaboration wasn't just a practical software problem—the whole developer community was missing some linking factor. So they focused on growing the community side of its product, creating a freemium model with an open source repository where coders could come together to discuss projects and solve problems with a collective mindset. They created the ability to follow projects and track contributions, so there's both an element of camaraderie and an element of competitiveness. This turned GitHub into a sort of social network for coding. A little over a year after launch, the reinvented Github had gained its first 100,000 users. In July of 2012, GitHub secured $100M in venture capital from Andreessen Horowitz. By catalyzing the network effect, you can turn your tool into a culture. People will come to it for the long term, not just to use a product and get out. 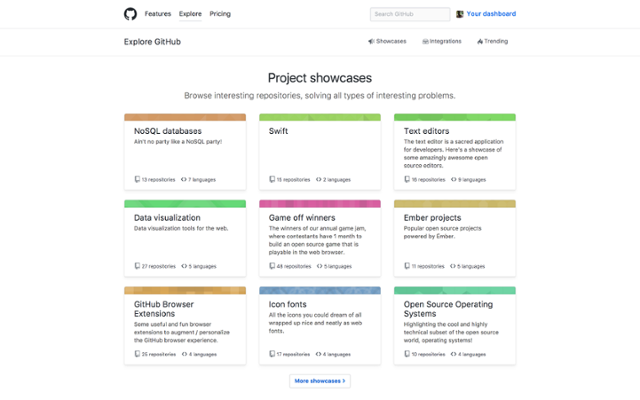 For GitHub, the more developers got involved, the better the tool became. Find that community for your product and give them a place to hang out. For a review site, it's easy to find a user base limited to simply drive-by traffic. What makes Yelp different, and allows it to draw return visitors and community members, is that it has strategically grown the social aspect of its site. This is what has earned Yelp 145 million unique monthly visitors and has allowed them to overtake competitors by creating their own category of service. Yelp set out to amplify its existing network effect by rewarding users for certain behaviors. They created user levels. Users could achieve “Elite” status by writing good reviews frequently and for voting and commenting on other reviews. Yelp judged reviews based on several factors, including level of detail and how many votes of approval they received. All of these factors helped to make Yelp more shareable. Essentially they were teaching loyal users to be growth hackers on their behalf by rewarding them for upping the quality of Yelp's content. 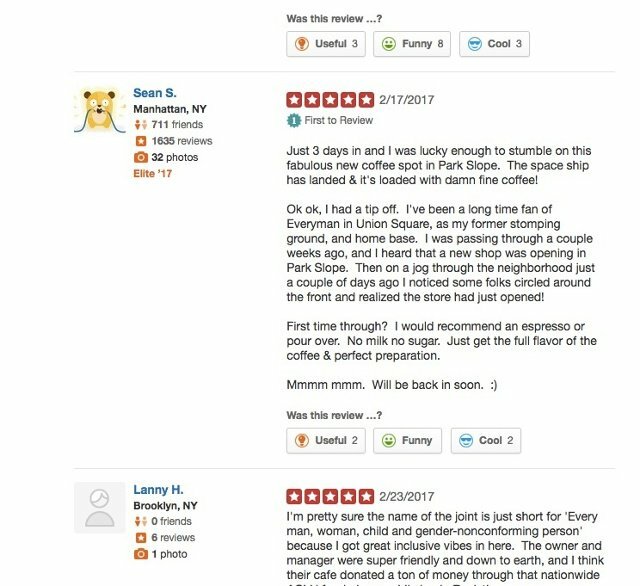 By turning reviews into a status symbol, Yelp turned its site into a community with active members who feel a sense of belonging there. How could you make your product an exclusive club for your users? Etsy reached IPO in 2015, ten years after the startup was founded. It was valued at $2 billion, with 26.1 million active buyers and 1.6 million active sellers. The key to this huge growth was Etsy's creation of a “community-centric” brand, not just for sellers and buyers to perform transactions but for them to build networks of like-minded craft-makers. 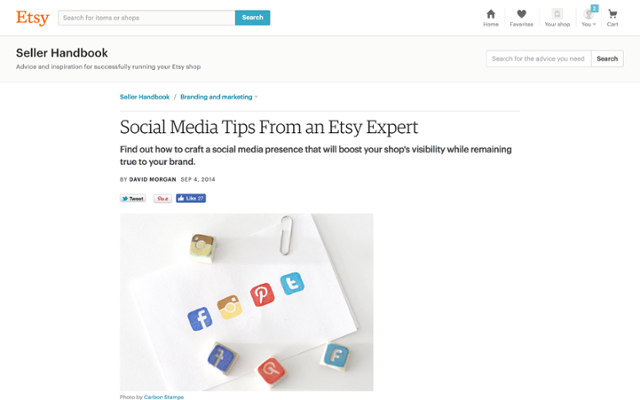 Etsy boosted its organic new user growth by actively encouraging sellers to share their wares on social media. First, Etsy's strategy was to focus on the seller side of its user acquisition. By preparing their service in a way that gave sellers tons of support but also tons of independence to promote and curate their businesses, they unlocked organic user acquisition—sellers essentially recruited their own buyers, who then visited Etsy and could get hooked on the site itself. Etsy's “seller handbook” is basically a course in how to use hashtags. Vendors create their own regulars, and drum up their own new business through social sharing, while Etsy positions itself as the supportive platform. Etsy now has 2.7 million Twitter followers and even more spread out across its other international profiles. The #etsy hashtag gets a steady stream of traffic, with Etsy sellers creating a high-visual, dynamic feed by themselves without the company having to do anything. If you're operating in a two-sided market, focus on one side of that equation first. What can you do to enable those people to become your acquisition channel? As a big corporation, IBM doesn't have the same urgency as startups have to create growth from nothing. But as cloud-based software has taken off, traditional hardware technology companies have struggled. IBM faces the uphill struggle of redefining its brand and product offering for an increasingly mobile audience. When you look at the big picture of IBM's growth over the last 3 years, you'll see a period of slow, and at some points even declining growth in 2014 and '15. IBM is still scraping through changes in its competitive landscape, but its story is starting to look almost like a nascent startup, with a challenging first few years as it “aggressively reinvents” its portfolio. Their strategy for achieving this startup-like effect has been to take a team-first approach to redefining itself and growing new user bases. In 2014, IBM created a growth hacking team. Already a large corporation, IBM didn't need to climb the initial hill of growth to get its product off the ground, but by building this focused team, it aimed to grow into new areas and new audiences with “data-driven creativity,” by using the small business strategies it was seeing in the startup scene. IBM now essentially has startup-sized teams within its massive team, working in a lab style with the autonomy to test marketing strategies. “By treating marketing as code it becomes about constantly testing, tracking, iterating and improving ‘till we make something anyone would actually care about,” is how Kasper Risbjerg, former Social Business Manager at IBM, put it. No matter what your team looks like—whether it's all remote or an enterprise with low flexibility—you can turn your organizational structure into a space where growth can thrive. None of these growth spurts happened because the teams were trying to change their whole company all at once. They found something—something small, a way in, a loophole, a detail—and carved out that space so growth could follow. Whether you find that a single feature in your product is the key to engaging users, or you discover a north star metric that allows you to replicate success—pinpoint your area for growth and dig into it. Your genius is your ability to listen and notice what's happening in your product and what your users are doing. That learning is your next growth strategy.